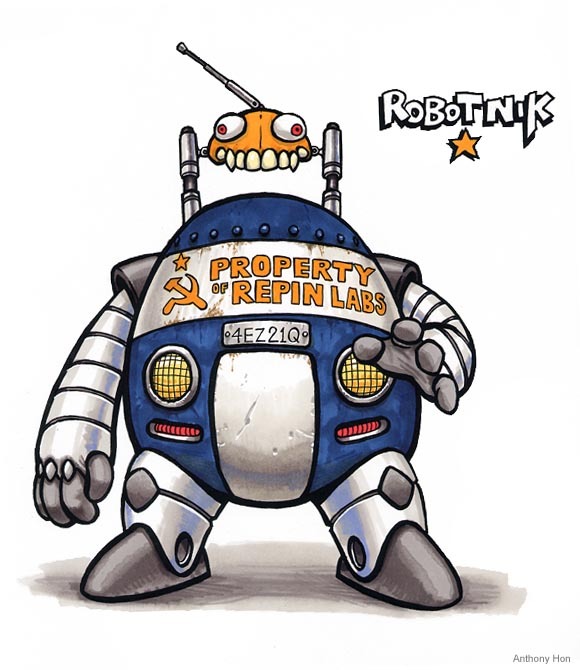 Built during the Cold War by the brilliant mathematician and scientist, Boris Repin, Robotnik was intended to be a self-aware, itinerant weapon of mass destruction. However, after many failed attempts at giving Robotnik a consciousness, Professor Repin scrapped the project altogether and stored it in an underground military facility in St. Petersburg. Shortly after Professor Repin’s death, the diabolical Kit Kat stole Robotnik for her destructive purposes.